Collect all the orders and reach 5000 points to complete the level. This level have normal difficulty and you need to play with good trick to complete this level. 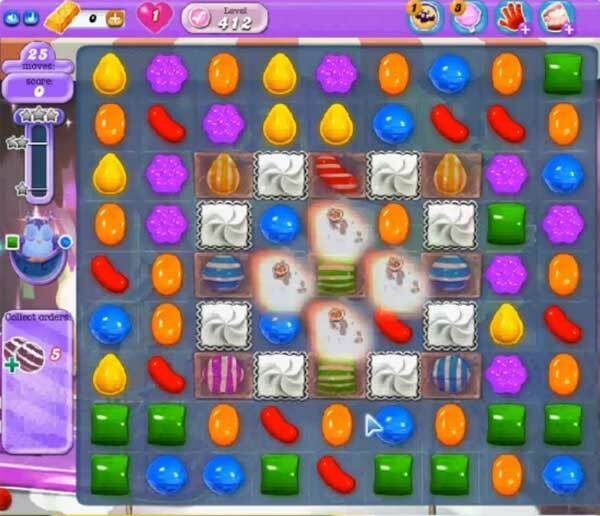 For this level first try to break the twister using striped candy or striped candy with wrapped candy combo. After try to make the striped candy combo or wait till moonstruck that you will get after 2 moves remaining then use striped candy combo to easily complete the requirement with balancing the Odus owl.